Violinist Dylana Jenson, had a prized Guarneri taken away, finds her voice with a new instrument | LEARN TO PLAY THE VIOLIN FOR FREE! The mystique that surrounds the violin largely can be traced to two instrument makers in 18th-century Cremona, Italy, whose towering artistry continues to haunt the music world. Violins — and, to lesser extent, violas and cellos — by Antonio Stradivari and Giuseppe Guarneri remain the gold standard by which all stringed instruments are measured. Canadian director Francois Girard addressed the issue in his 1998 film, “The Red Violin,” the fictitious tale of a supreme instruments odyssey over three centuries. 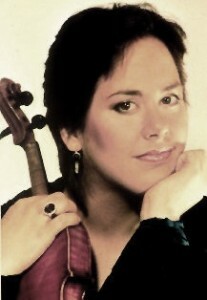 Few people have a better grasp of the sublimity of instruments on the order of Strads and Guarneris and the precarious business of these astronomically priced violins than Dylana Jenson, who will be in town this week to play the Tchaikovsky Violin Concerto with CityMusic Cleveland. The story of the former child prodigy from Los Angeles is one of uncompromising standards, pain and survival — and a cautionary tale for anyone in search of the instrument that best reflects his or her artistic soul. The withdrawal of the del Gesu sent Jenson into an artistic and emotional tailspin from which she wouldn’t begin to emerge for more than a decade. Without a suitable violin that allowed her to make music on the level she demanded, her recording life disappeared, her management walked away and her schedule of important concerts plunged. “It can be very destructive to desire what you cannot have,” Jenson, 49, said last week from Grand Rapids, Mich., where Lockington, her husband of 28 years, is music director of the Grand Rapids Symphony. They included more than a few that couldn’t be heard beyond the first few rows. One that did project, a Strad on loan from the Stradivari Society in Chicago, had to be returned after a six-week Australian tour. READ MORE – via: Violinist Dylana Jenson, who lost her prized Guarneri and her artistic way, finds her voice with new instrument | cleveland.com.